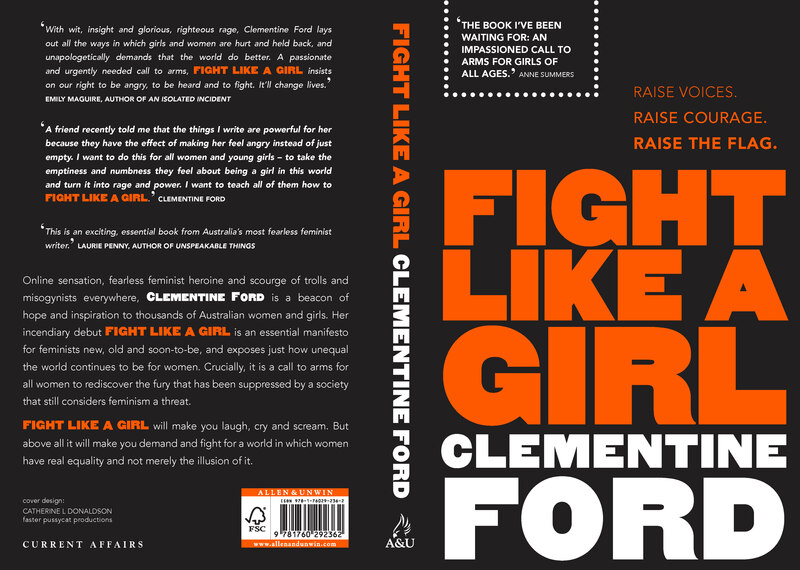 Following our blog posts on a series redesign, we look behind the scenes of another cover design – this time Fight Like A Girl – Clementine Ford’s forthcoming book, a personal and fearless call to arms for feminists new, old and as yet unrealised. 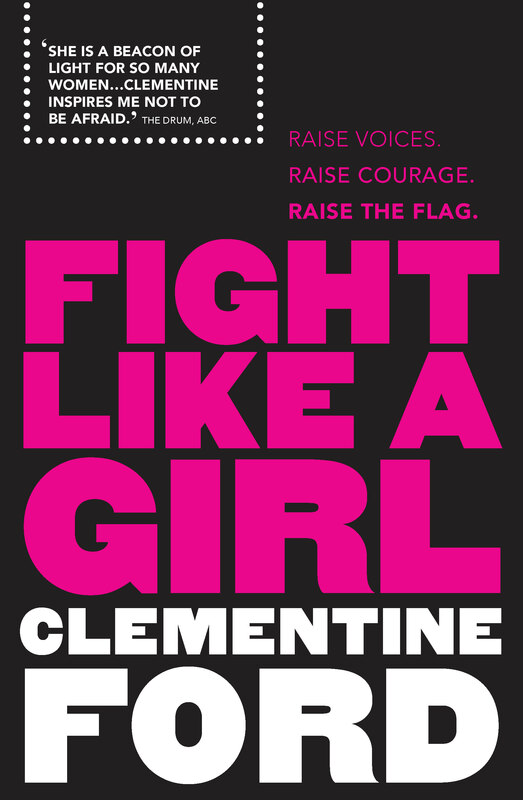 Earlier this year we ran a competition to design the cover, and our winner was Melbourne designer Catherine Donaldson of Faster Pussycat Productions, and here she explains how she went from entering to designing us a cover in the space of about six weeks. The whole experience was like a dream sequence: cue my friend casually mentioning “Hey! You might be interested in this”, the design falling into place very simply, filling out my submission, sending it off into the ether and… fade to black. Fast forward a month later to the moment where I missed a call from the Allen & Unwin Marketing Department, but I thought don’t get excited, they might just be saying “thanks for submitting but on this occasion yadda, yadda, yadda”… but what do you know, I won! There was tears and a little epiphany that my 30 years of experience as a graphic designer really did mean something. All in all, I was quietly chuffed. From my initial design submission, I knew the typography was strong but I was not 100% convinced with the image I had used. Deleting the image gave the typography the stage to stand alone and be noticed. I love the basics: using black and white with a hint of colour and this theme was used throughout process of developing the cover. It was quite gratifying that the design did not change drastically, just the colour combinations. Our colour palette started with hot pink, then smoking reds, smouldering oranges and even dabbled with a zesty green but our fresh, tasty orange was the winner – with its unique and feisty nature, it would draw the eye. Like most graphic designers, I have a pet set of typefaces with a few special favourites to use for just the right occasion. Smokler was my ace up the sleeve. This gorgeous slab-face font has character… strong willed, defiant and with inviting curves, it sells the title perfectly. 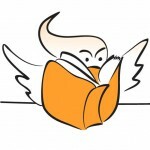 I cannot wait to see the book on the shelves! 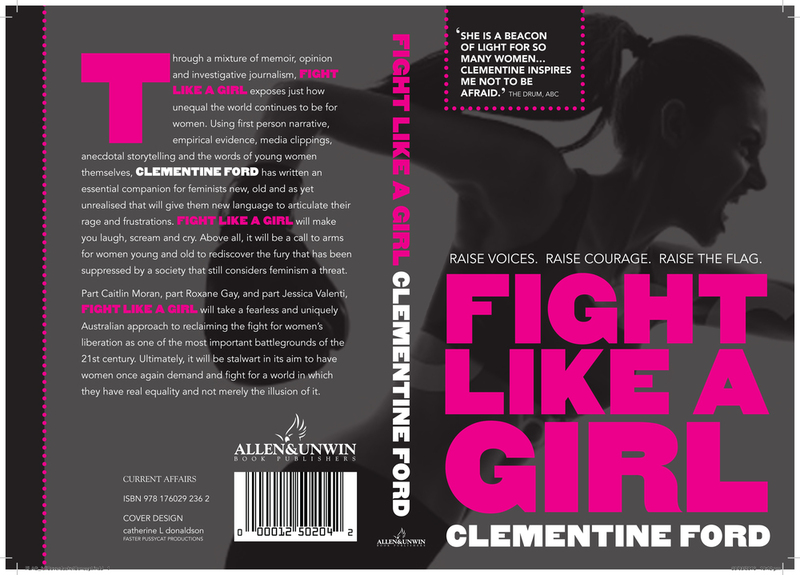 You can add Fight Like A Girl to your virtual bookshelves on Goodreads here, and pre-order the book from your local bookstore or online now: A&R Bookworld / Booktopia / Google / iBooks / Kobo / Readings. To launch the book, Clementine Ford will speak with Julia Baird at Melbourne Athenaeum on Monday 26 September. 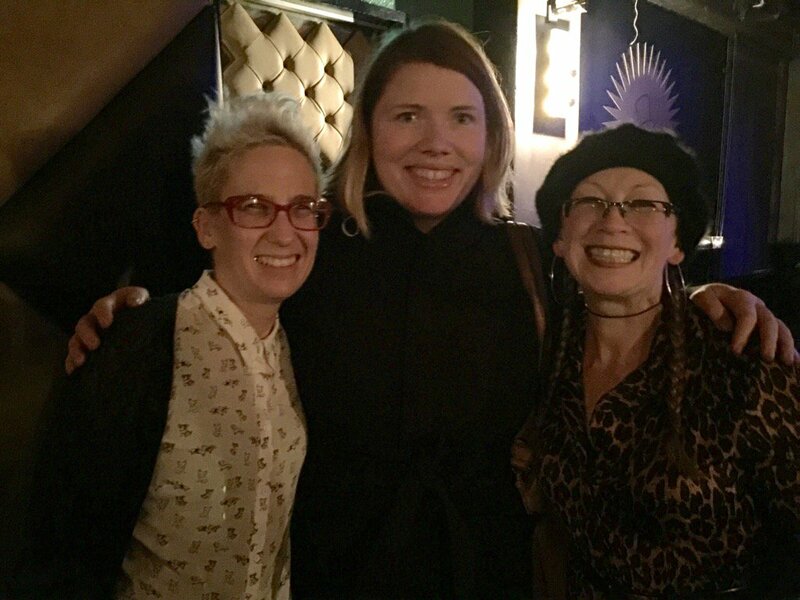 Catheine (right) meeting Clementine Ford (centre) at an event earlier this year.